Loose parts by themselves are such an incredibly open-ended and useful addition to play and creativity for children. 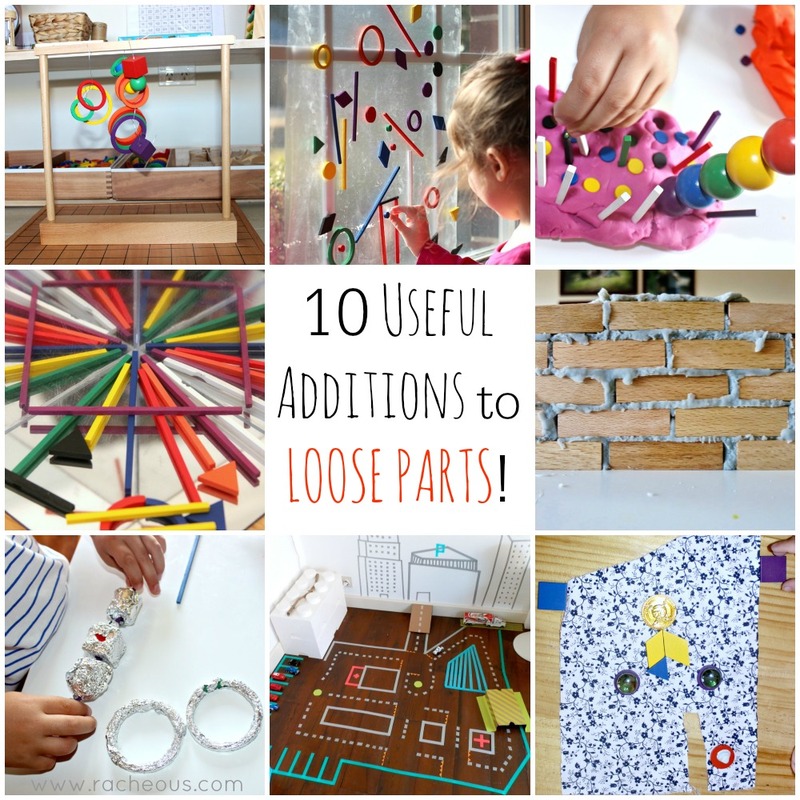 I have previously written about the types of loose parts that you can collect for play and why. However, with some really simple additions, you can transform loose parts into a more engaging activity or play experience. 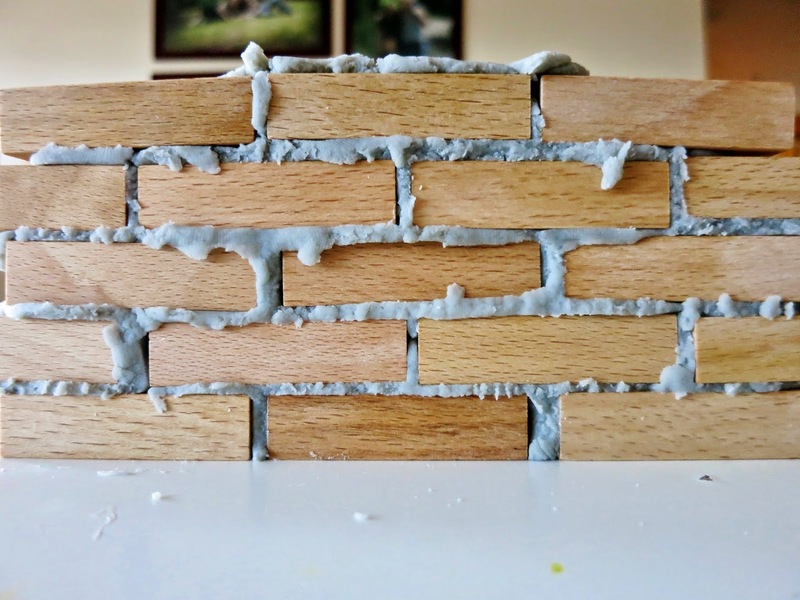 Homemade playdough or store bought play dough can transform loose parts. 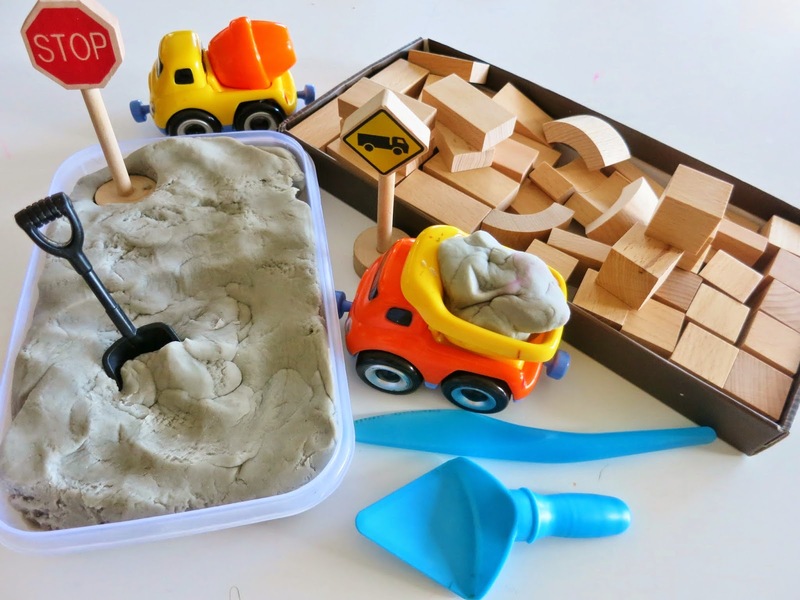 II love this invitation to play with grey play dough and Spielgaben blocks and construction toys from Learn with Play at Home! Containers like baskets, bags, bowls, boxes and even ice cube trays can be added to loose parts to really extend play. Aluminium foil is cheap and readily available. It really changes the look and texture of the materials. 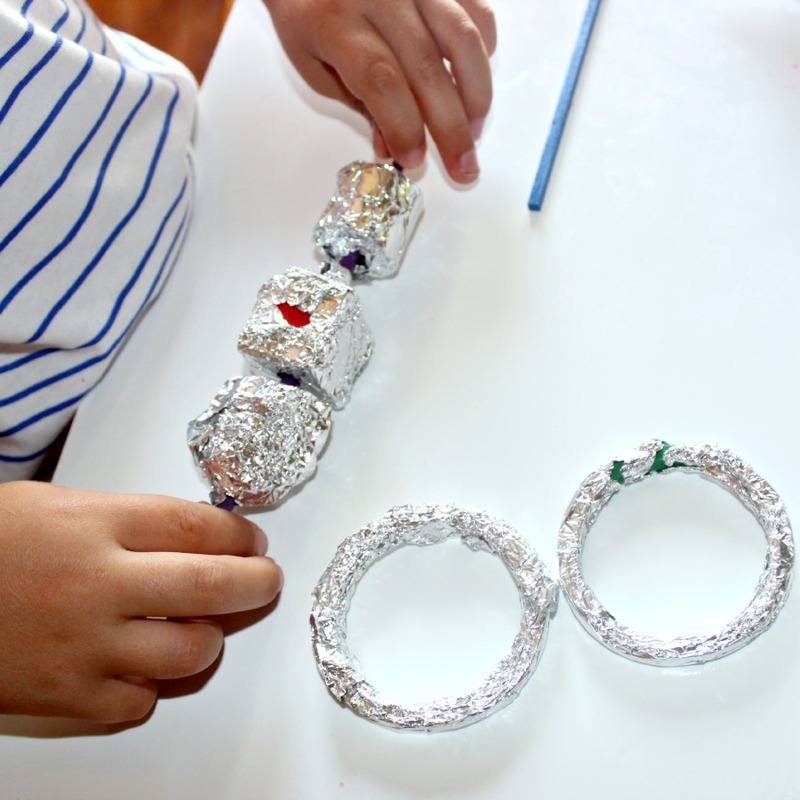 My kids love wrapping and unwrapping items with tinfoil! The lovely One Perfect Day set up this engaging invitation with blocks and foil! Some items from nature are loose parts themselves but bringing loose parts to nature or vice versa can completely change a child’s perspective and allow for deep play. I love this from Fantastic Fun and Learning! Simple craft wire is great for wrapping, threading and sculpting. Here we used it with Spielgaben beads and rings. 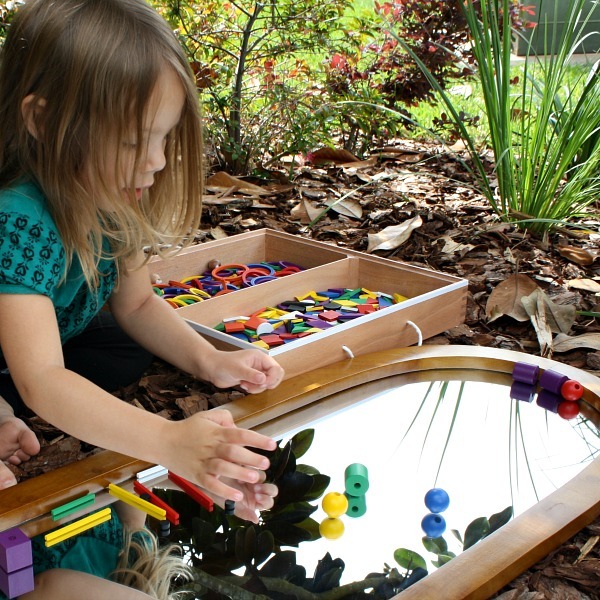 I have spoken about our love for mirrors and how they can change play and learning. 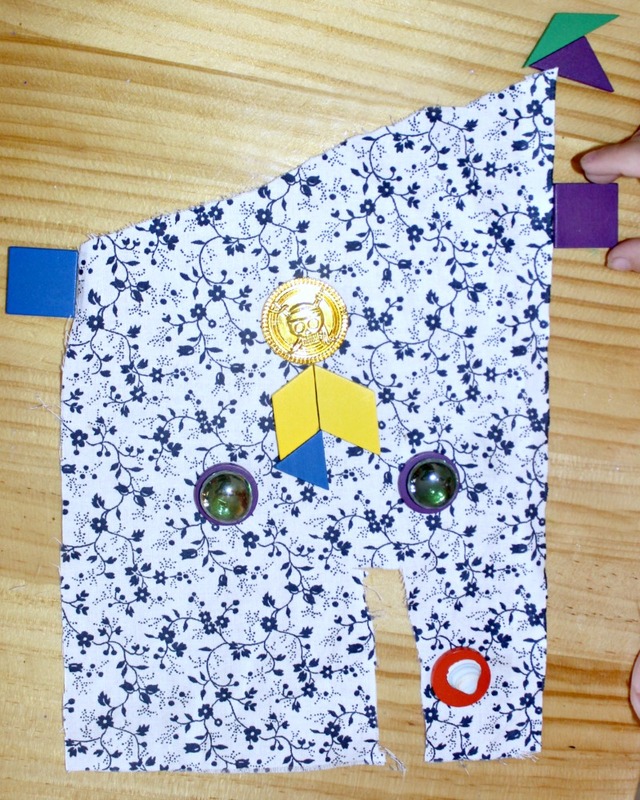 The Imagination Tree shared this fun DIY mirror box for exploring symmetry with Spielgaben loose parts! I love the possibilities with this! 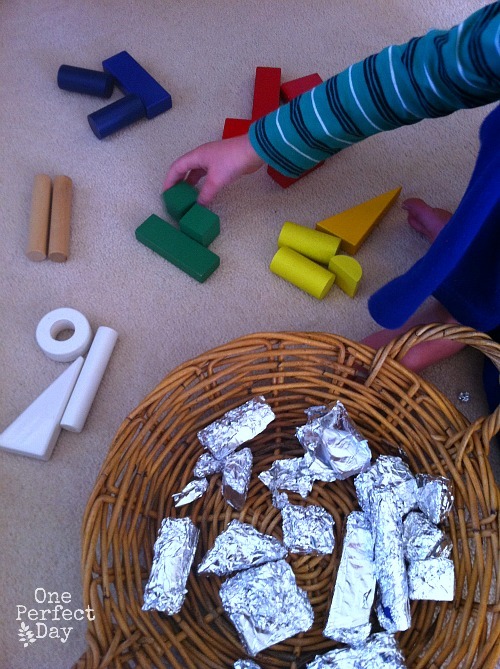 Adding tape allows kids to make sculptures and figures from their loose parts more permanent. 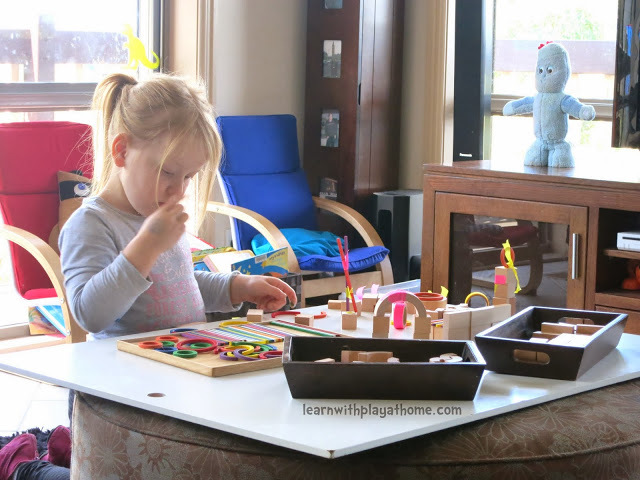 Learn with Play at Home showed how Spielgaben paired with paper tape provided hours of fun and construction! Speaking of tape, I’m reminded of this great light and sensory activity with clear sticky contact and Spielgaben from Twodaloo! 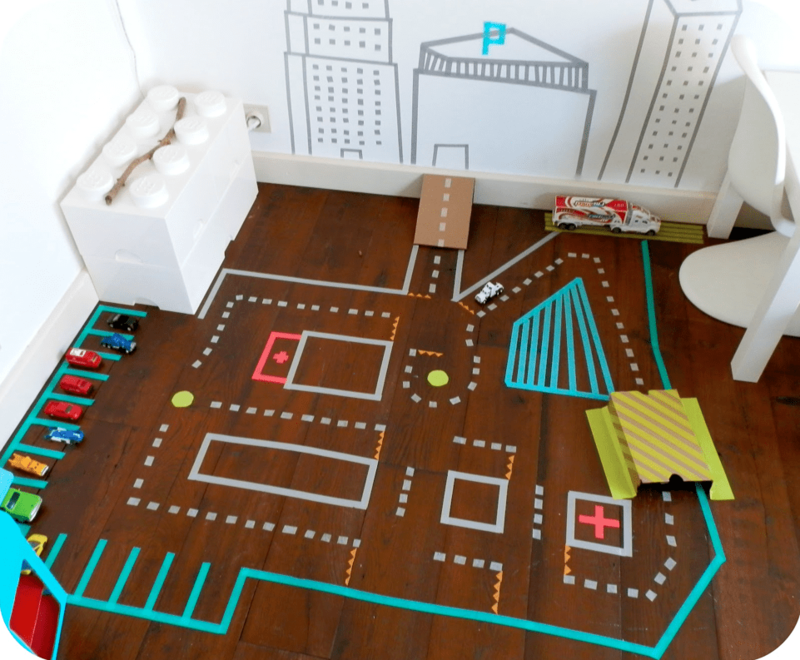 I also love this city set out with tape for play with loose parts! I would recommend having a paper and pen handy in play areas at all times. 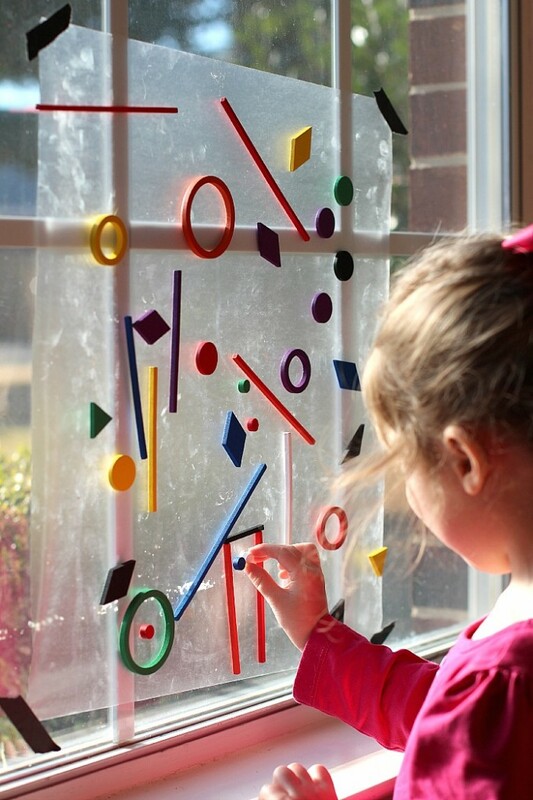 The ability to draw and/or write down ideas can really expand play and learning experiences. Fabric scraps or in particular, play silks, are a brilliant addition to any imaginative play. Adding toy animals is a sure way in our household to extend play and transform loose parts into a wonderland of imagination. 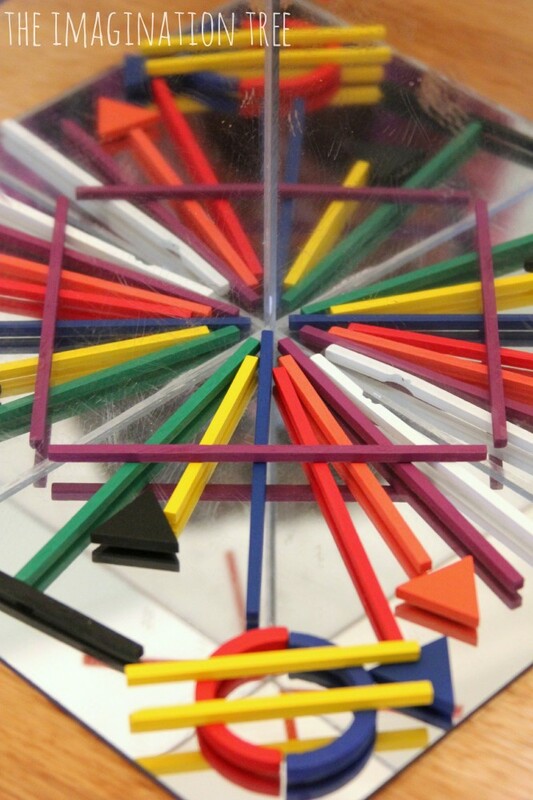 Each of these enhance the use of loose parts (like Spielgaben) and create a unique perspective. 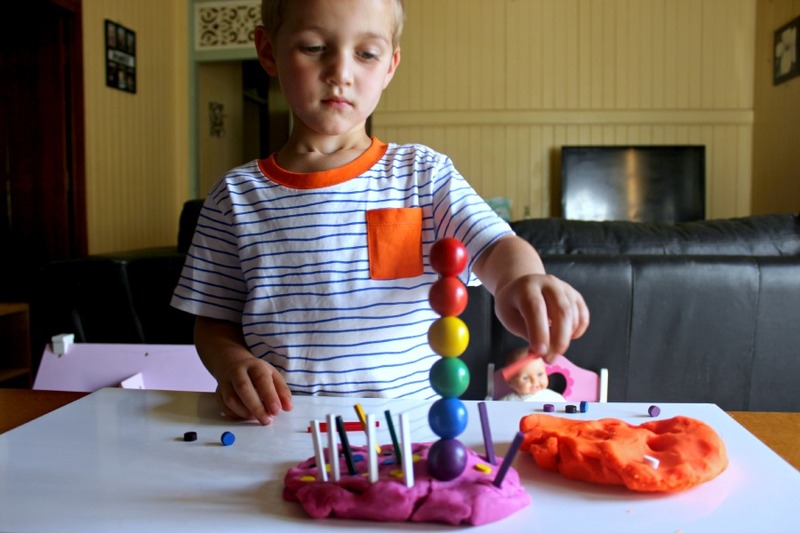 I love watching my kids make meaningful sculptures or representations of their interests and things that they’re learning about with loose parts. 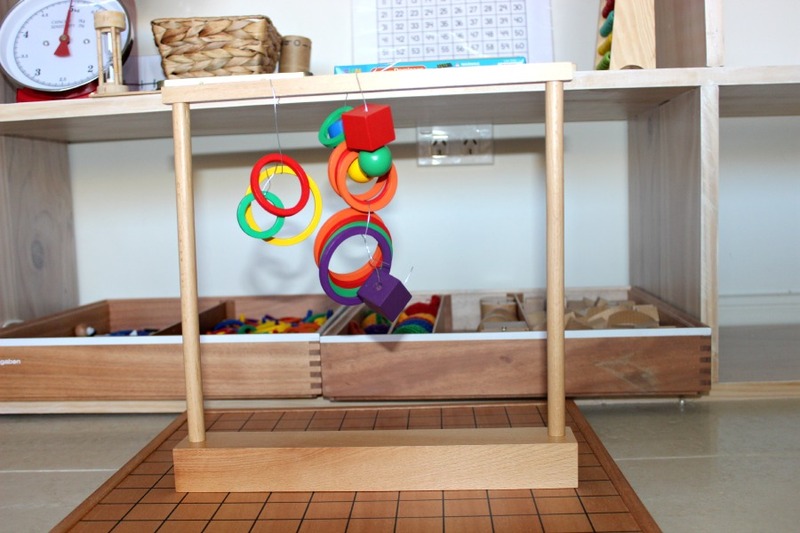 How do you play with loose parts in your home? 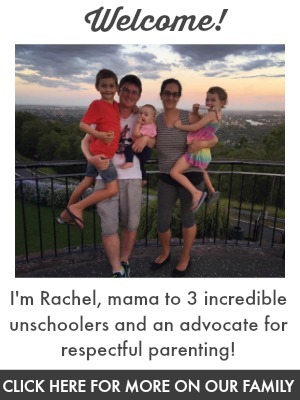 Come share it on my Facebook page and/or Lovable Learning community! 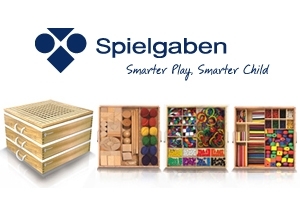 Spielgaben offers a 15% discount to Racheous – Lovable Learning readers – AUD $373 | USD $340 | GBP 200 including shipping to Australia, USA and UK (prices are approximate depending on conversion rates). To take advantage of this discount, simply send an email to info@spielgaben.com mentioning Racheous – Lovable Learning and Spielgaben will reply with a discount coupon. Many of my children’s favourites featured here. They spend so much time with our plastic animals in particular – such a worthwhile investment. Some great ideas here! I’m eagerly awaiting our Spielgaben set, so I’ll have to bookmark this post. Our favourites would probably be playdough and animal figurines. I’ve never thought of wire, but my son loves rope so this seems like something he’d love too. We have done the construction toys, wooden blocks and playdough inspired by Learn With Play at Home. I think it was his favourite invitation EVER! He was independently engaged for so long. Hello, I just discovered spielgaben & am researching to see if is worth the cost for our family. Can it be used as a math program on it’s own? If so, what math concepts are covered or not covered? How far would it take a child? Thanks!